Hanging on for the ultimate ride--God's great adventure. 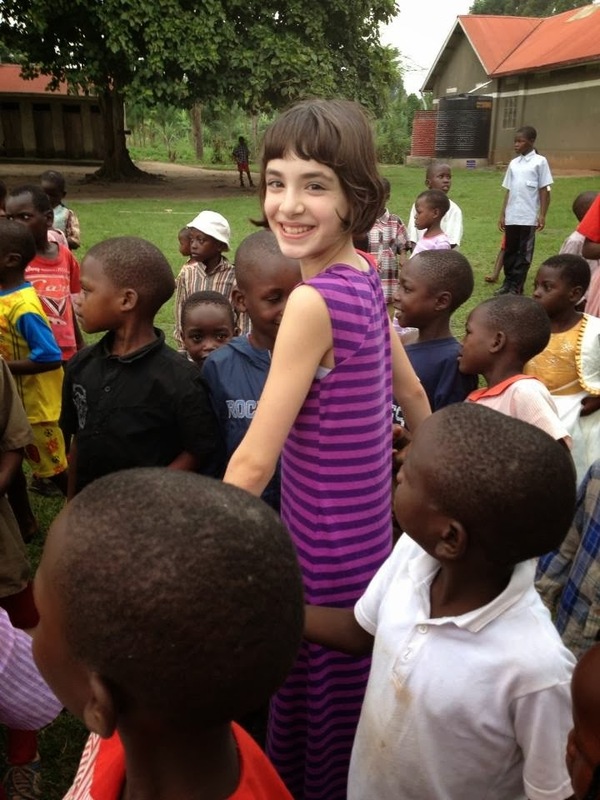 One year ago, God put a burning desire in my nine-year-old daughter's heart to love on orphans in Uganda. My husband Jon and I had been wanting to serve someplace as a family for a long time, but we didn't think we could go to Africa until Karly was much older. We met with the missions pastor at our church and shared that we thought God wanted us to serve in another country as a family. The first thing he said was, "What do you think about Uganda?" Karly cheered. Jon and I smiled. And our journey began. We still had many hurdles to jump before we said a final "yes" to Africa. Miracles began happening. Jon's boss said he could take three weeks off work. Money for our plane tickets came in unexpectedly. My dear friend Tosha said she could care for our youngest daughter since Kiki wasn't ready to go to Africa (she's scared of cheetahs...). And Karly and our 14-year-old friend Christianna (Tosha's daughter) could take time off from school so we could spend two weeks before and then a week during Christmas break with children who don't have families. 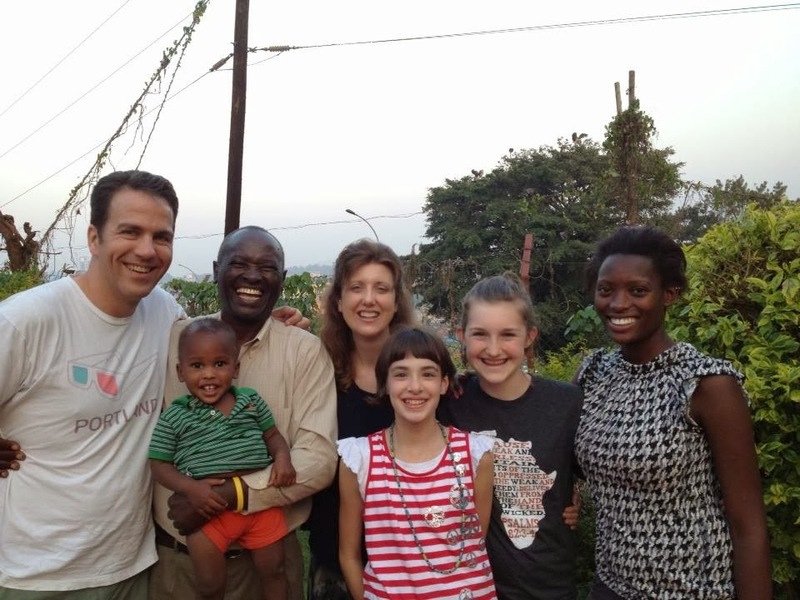 As God began piecing together our plans, none of us were certain exactly what we would DO once we got to Uganda. We aren't doctors, teachers, or professional speakers, but we were willing to do whatever He asked. And God used the unique gifts of our entire team in ways we could never have imagined. During our three weeks, we spent time at six different children's homes, and God was able to use our seemingly random talents--the widow's mite we offered--in fun, unexpected ways. Karly used her love of creativity to teach kids how to make rubber band bracelets and other crafts, her love of people to make locals laugh, her love of babies to hold and feed newborns for hours, and her hard work this fall to make enough money to buy Christmas gifts for 120 kids. God gave Christianna the perfect tools needed to teach kids and their caregivers how to bake an American cake (over a fire), blow bubbles and make crafts with dozens of kids, sing beautiful songs, design a creative T-shirt that people both at home and here love, and make friends all across Uganda with her infectious smile. Jon used his hands to wash dishes and move firewood, his heart to love on children and an extremely ill and neglected woman who needed a godly man to protect and pray for her, his words to encourage people wherever we went, his technical abilities to play music through all sorts of sound systems, and his computer skills to answer questions and encourage people who work with computers. And me--I was at a loss for a few days as to how God could use my skills. I love to coordinate trips but I wanted to do more than just organize our team's schedule. Then at our first children's home God prompted me to cut out simple hearts from construction paper for the 50-plus kids. The children loved the hearts and the stickers and coloring pages we brought, and I loved playing Uno and other card games with them. When the older kids found out I wrote books, they quizzed me on writing, and at Bless a Child for children with cancer, the teacher asked me to teach creative writing to children who don't have the opportunity to go to school. I sang "Jesus Loves Me" dozens of times and folded laundry and kissed hundreds of children on the head and told them that God loves them. And, oddly enough, He used all of our love for dancing to teach children across central Uganda how to do the Macarena and Cha Cha Slide. We never imagined that God would use this seemingly random skill to open doors, but the African people love to dance and it was pure joy for us to dance with them. Most of all, God used all of our hands to grasp the hands of orphans and our laps to cradle the smallest ones. We aren't doctors, but God used us to bandage wounds and get medication for people who were sick. We aren't teachers, but God used our little team over and over to teach. We aren't professional speakers, but we quickly realized that serving in Africa means speaking sometimes in front of hundreds of people, encouraging the adults in their hard work here and sharing Jesus' love with the kids. When we said "yes" to what God clearly put together, he paved the road before us. He showed us when to act, when to pray, when to speak, and when we needed to say "no". So we end our time in Africa with grateful hearts. 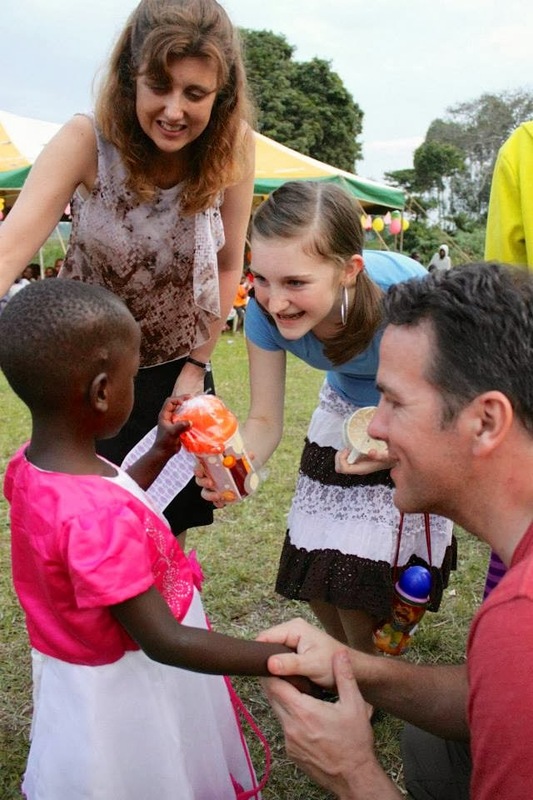 We have met so many wonderful people--friends for a lifetime--and developed a love for Uganda's children. In spite of our fears, we are so glad we allowed God to weave together our time here, in His perfect way.